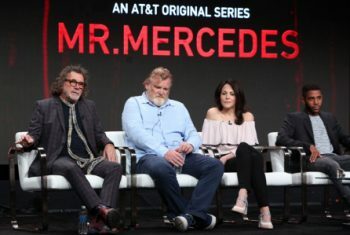 The second season of the critically-acclaimed series MR. MERCEDES based upon the 2014 Stephen King novel was discussed at a 2018 TCA Summer Press Tour panel taking place on Friday, July 27th at the Beverly Hilton Hotel. Present were Jack Bender, series director and executive producer, along with talents Breeda Wool and Holland Taylor. 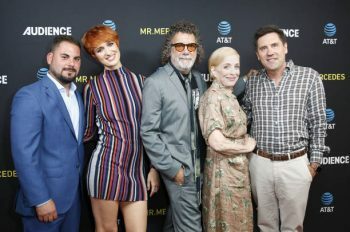 Season 2 of MR. MERCEDES picks up a year after Brady Hartsfield’s thwarted attempt to perpetrate a second mass murder in the community of Bridgton, Ohio. As Brady remains hospitalized in a vegetative state, retired detective Bill Hodges teams up with Holly Gibney to start Finders Keepers, a private investigative agency. But when unexplainable occurrences begin to affect hospital staff members attending to Brady, Hodges is haunted by the feeling that Brady is somehow responsible. Brady’s character manages to stay quite busy on the series even while lying in his hospital bed through performances in eerie dream sequences set in cemeteries. His unsettling presence is what gives Season 2 its unmistakable edge. Holland Taylor’s character, Ida Silver, also had to be supplied with material that was equal to the actress’s talents according to Jack Bender. The nuanced relationship between her and retired detective Bill Hodges was created wholly for the show. Stephen King is known as a leading master of the supernatural, which gradually creeps into the trilogy of which MR. MERCEDES is the first book. MR. MERCEDES is more character driven and focused upon the horrors within the human psyche. King himself is the #1 fan of the cable series! Starkness and darkness are hallmarks of MR. MERCEDES. But women characters like the ones Breeda Wool and Holland Taylor portray manage to inject saving moments of humor and humanity. Even rather annoying women like the scattered single mother who is killed in the “Mr. Mercedes” massacre during the first episode of the first season achieve a sort of pathos. “Mr. Mercedes” Panel At 2018 Summer TCA. Jack Bender believes that ordinary characters such as these who are not shielded by wealth, power, beauty, or fame are central to Stephen King’s literary philosophy. Their day to day struggles may in fact equip them better to fight evil when the time comes since they are always closer to the ground with it. Series star Brendan Gleeson of IN BRUGES fame was Jack Bender’s enthusiastic first choice for the role of Bill Hodges. Breeda Wool and Holland Taylor agreed that Gleeson was one of the greatest actors they had ever worked with. Relationships of all kinds will continue to develop throughout the MR. MERCEDES series. Gleeson’s character manages to attract a series of younger women, and Taylor’s character even gets asked out by a fellow summer school teacher! “Working in [David E. Kelley’s] world is quite beautiful and poetic,” said Breeda Wool in closing. The great MR. MERCEDES sets also kept the actors coming back for more in this alchemical series. Let us hope its audiences do likewise! 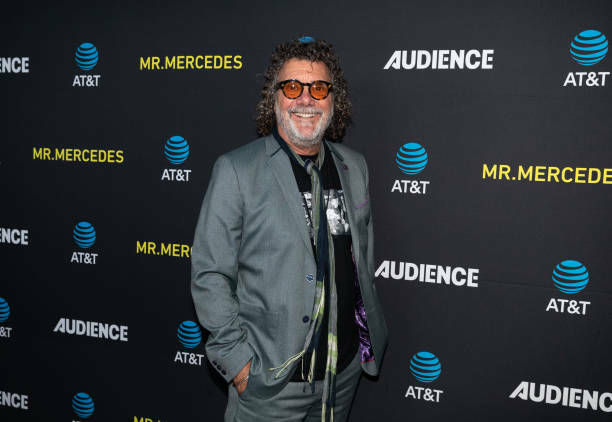 MR. MERCEDES premieres onWednesday, August 22nd at 10 p.m. on AT & T’s Audience Network.